With a flannel board story a child is able to use it at home, in the car, on a plane, in a quiet setting, or any where a child's imagination takes them. 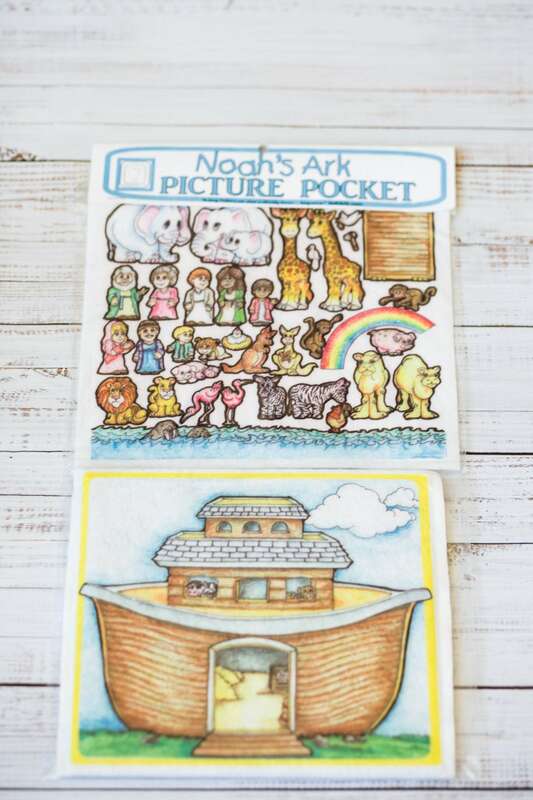 The Noah's ark picture pocket is designed to let a child tell their own stories by using the Noah's ark picture on the board and the felt board pieces of the animals and things that are in Noah's story to help entertain them for hours. The board is designed with a pocket in the back where you are able to store all the pieces. Then there is a handle to help carry it where ever it needs to go. My goal with a picture pocket is to be able to give some felt board pieces to a child where they then use their own imagination to tell stories and play. This is a quiet toy that is used as a lap board and tell stories and play with your imagination. Picture pockets are made of felt and and have a pocket in the back to store all your pieces in. Kids will play hours with these in a quite setting.